Muse of Fire. Dir. Dan Poole and Giles Terera. Perf. 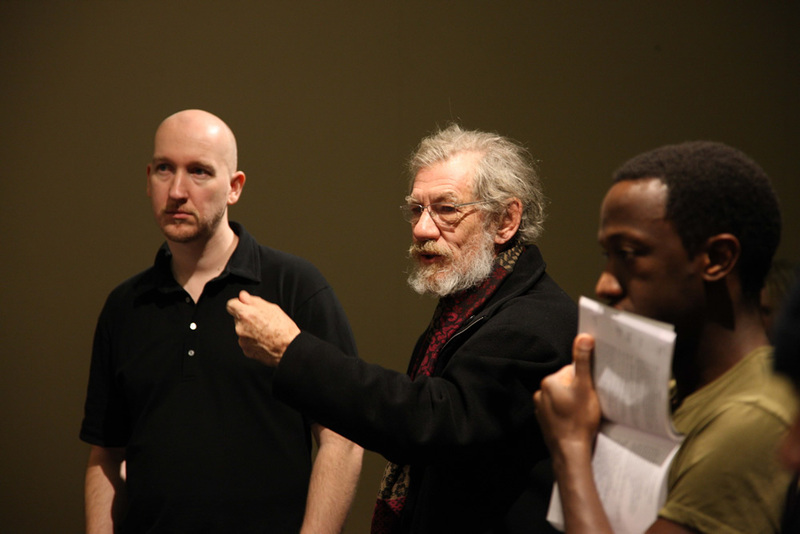 Dan Poole, Giles Terera, Ian McKellen, Judi Dench, Ralph Fiennes, John Hurt, Ben Kingsley, Michael Gambon, Zoë Wanamaker, Jeremy Irons, and Simon Russell Beale. Muse of Fire Film, Timebomb Pictures, Lion Television, 2013. Screening at the Great River Shakespeare Festival on 6 July 2013 at 10:30 a.m. The Great River Shakespeare Festival. 26 June to 4 August 2013. The Great River Shakespeare Festival offers some of the best Shakespeare productions in the midwest. This year, the Festival presents Twelfth Night and Henry V, and that's thrilling enough. But, in conjunction with Winona’s Frozen River Film Festival, they are also offering a preview screening, for the first time in the United States, the documentary Muse of Fire, an innovative film in which two actors set out on a quest to find out more about Shakespeare. And they seem to have interviewed everyone from Dame Judi Dench to Sir Ian McKellen—and even people who don't have OBEs—in their effort to do so. The preview screening will be on July 6, 2013, at 10:30 a.m.
And if that doesn't move you, let me tell you this: I, Bardfilm, will be there in person to lead a discussion after the screening. 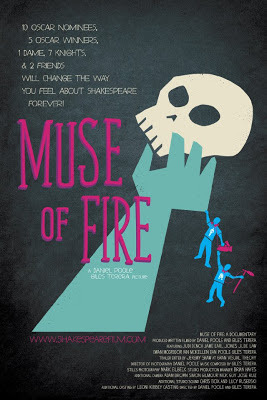 Links: The Official Site for Muse of Fire. The Film at IMDB. The Great River Shakespeare Festival.